There is lots of talk of disruption in healthcare particularly involving new entrants and weird combinations such as the CVS-Aetna merger, CIGNA and Express Scripts, Amazon Berkshire Hathaway and J.P. Morgan, and now Wal-Mart and Humana all claiming to transform healthcare. At the same time, we are seeing continued consolidation in the traditional healthcare industry with hospital systems merging at the local, regional and national level. The rise of consumerism is affecting healthcare particularly the retail/primary care area where consumers are spending with their own money in a world of high-deductible healthcare. The growth of digital health offers the opportunity to disrupt traditional care interactions in both the management of chronic conditions and in routine primary care. And there is a whole new set of patient decision-makers such as millennials who bringing with them different sensibilities in terms of access to services. Where are doctors in all of this change? One megatrend has been the increasing consolidation of physicians into larger group practices on the one hand and increasingly in employed relationships with hospitals on the other. Recently the American Medical Association (AMA) survey shows that approximately a third of physicians are employed directly by hospitals or by practices either owned wholly or in part by hospitals (Table below). Among the third of physicians that currently work for hospital systems there is strong anecdotal evidence and some survey evidence that there is considerable buyers’ and sellers’ remorse among those hospitals and physician practices. Indeed, there has been a “cooling of ardor” toward hospital owned physician practice by both parties. Some physicians are now realizing they have sold out “to the man” and have reduced autonomy and control. Conversely, some hospital leaders are realizing they are subsidizing the incomes of the employed physicians to the tune of tens if not hundreds of thousands of dollars per year per physician and experiencing declining productivity among the newly salaried doctors. Nevertheless these employed physicians are a core component of most health systems’ strategy going forward, as we explore below. In 2011 my colleagues (at Nielsen at the time) developed a segmentation of physicians based on surveys of attitudes of physicians to practice arrangements and industry trends such as electronic health records, payment reform and evidence based medicine. At one extreme was a segment of Blazing Believers, those who had “drunk the Don Berwick Kool-Aid” in that they were willing to be on salary, believed in large group practice, believed in the use of electronic health records (EHRs) and evidence based medicine. Approximately 37% of doctors were in this category by 2016 rising steadily each year from 23% in 2012. At the other extreme were the independent resisters, think “cranky old surgeons from Texas” who were more likely to be in solo practice and less likely to be enthused about groups, salaried employment, EHRs and so forth. Resisters comprised approximately 30% of physicians the remaining third were split almost evenly between what we labeled optimistic intenders (12%) physicians that have not experienced integration but were open to it and a fourth category, reluctant objectors (20%) who had tried integration and did not like the experience. Changing practice circumstances in combination with payment reform pressures, increased scrutiny of quality, heightened reporting requirements, and angst over the electronic health record have led to rising physician discontent. This is not new. A similar trend existed in the 1990s as managed-care took hold. The fever broke with the managed-care backlash and physician satisfaction bounced back and was relatively high in the early 2000s. Over the last seven years surveys show continued growing physician dissatisfaction with practice (not a majority of physicians to be sure but a significant plurality (40%) reportedly dissatisfied with practice). Surveys also reveal high levels of burnout with the majority of all specialties and 56% of all physicians nationally responding they are burned out. More recently physicians have described to me that the more accurate term is “demoralization” reflecting the compounding effects of these broader changes that undermine the autonomy, authority, independence, and stature of physicians. It is against this backdrop of change that we are seeing alternative models proliferate in terms of offering physicians new ways to practice. In my travels I see many hospital systems with three buckets of doctors. The first bucket is the employed multispecialty medical group (usually split evenly between primary care and specialists) which has grown rapidly over the last few years both organically through recruitment, and through acquisition. In many markets across the country, from Oklahoma to Oregon, from Mississippi to Maine, these groups account for a third or more of all the physicians practicing in the institution and perhaps an even higher proportion of admissions and all clinical activity. A second bucket is the loyal medical staff most of whom practice in traditional solo, small group or single specialty group arrangements. In some cases these physicians are included in the clinical integration organization legal structure that enables activities such as care coordination, managed care contracting, and population health activities but often this second bucket are simply the loyal medical staff who practice exclusively in the health system. The third bucket is the community-based physicians some of whom maybe “splitters” working with competing health systems, some may be in more entrepreneurial mode operating independent surgery centers or in procedural oriented specialties such as orthopedics, ophthalmology, dermatology, or plastic surgery where they do not need to have a close full time relationship with the hospital. Most health systems are trying to drive more of the clinical activity towards the first bucket, but recognize the central importance of the other two buckets as key revenue generators for the foreseeable future. My friend Daniel Varga M.D. Chief Clinical Officer for Texas Health Resources talks eloquently about the need for THR (and all health systems) to develop “economic docking opportunities” with all three buckets of physicians. And that makes good sense to me. However, increasingly health systems are not the only place that this third bucket or even the second bucket of physicians look for practice opportunities. Increasingly, we are seeing publicly traded companies, as well as private equity and venture capital backed initiatives that are seeking to organize physicians in different ways then the traditional relationship with independent practitioners, small or large groups or hospital owned practice. Here are some interesting examples of physician consolidators. Each has a very different approach to the marketplace. One Medical is a nationally growing member-based primary care practice founded originally by Dr. Tom Lee a pioneering, highly trained physician MBA entrepreneur who created an innovative environment for primary care physicians to practice using high-tech, high touch medical care targeted perfectly to the Uber generation. Well-funded by elite venture capital investors including the prestigious Google Ventures and Benchmark Capital, One Medical is growing rapidly in the San Francisco Bay Area and in other sister markets such as New York, Washington DC, Boston, Chicago, Phoenix, Seattle, Los Angeles and beyond. Their new CEO, Amir Dan Rubin formerly CEO of the Stanford Health Care system and more recently executive vice president at Optum brings vast experience in managing leading edge provider systems at scale. Amir Rubin is building on One Medical’s vision to transform the patient care experience for primary care physicians and their patients leveraging technology and value based care, while growing employer sponsorship for membership for their employees. One Medical will continue to grow as it provide opportunities for young tech savvy physicians to practice the way they really want and for patients to get primary care on their terms. Oak Street Health is a venture backed primary care service in Illinois and Indiana with growing footprint in the Midwest focused on vulnerable elderly populations. Their model as I understand it, mirrors the pioneering work of CareMore (a medical group that is now part of the Anthem family) that focused on providing coordinated care to frail dual eligible elders on a capitated basis. The revenue flow for such patients is enormous on a Per Member Per Month (PMPM) basis and with prudent management and population health and primary care concierge medical services, has the potential (as CareMore did in its day) to dramatically reduce unnecessary hospitalization and costs. Core Institute is a private equity backed orthopedic, neurology and spine health practice based in Phoenix and expanding to other markets such as Michigan. Core’s model is a “focused factory” that improves quality and dramatically reduces costs in high volume orthopedics such as hip and knee replacement with a special focus on bundled payment opportunities. They also have a rapidly growing management and advisory services practice helping hospitals manage and optimize their orthopedic service lines. Optum is the rapidly growing $91 billion revenue health services company buried inside the behemoth $200 billion United Health Group. Optum has built its own monster PBM and has stealthily acquired other physician practice and other healthcare delivery assets such as 200 Ambulatory surgery centers through their purchase of Surgical Care Affiliates, and 280 Urgent Care Centers through their purchase of Med Express. Optum has reportedly 20,000 affiliated physicians and has added to their portfolio recently with the acquisition of the former Healthcare Partners Practices that were previously owned by Da Vita with 2,000 employed or affiliated physicians. All of these delivery assets can be brought to bear on the 91 million lives served one way or another by Optum. In particular, 75 geographic markets have been targeted for OptumCare primary care driven practices (35 already penetrated) according to United Health Group’s most recent financial filings. Investor Backed Ambulatory Services are growing in many states especially where there is no Certificate of Need legislation. A previous column (https://www.hhnmag.com/articles/7795-the-future-of-emergency-care) focused on the future of emergency medicine highlighted there are 10,000 urgent care centers, 5,000 ambulatory surgery centers, 2,800 retail clinics and more than 500 freestanding emergency rooms in the United States. In addition, there are numerous micro hospitals and diagnostic imaging centers that either employ or partner with community based physicians. These new settings provide increased opportunities for physicians to practice without hospitals. 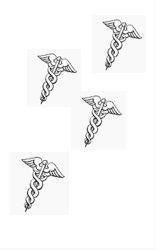 Physician Outsourcers such as Team Health, MedNax, AMN are for profit health service companies. They are not traditional healthcare providers and yet they organize tens of thousands of physicians. Team Health has 20,000 affiliated physicians and provides physicians for hospitals and health systems in several specialties especially emergency medicine, anesthesiology and hospital medicine. MedNax is a physician aggregator/outsourcer with revenues of $3.5 billion and over 4,000 employed or affiliated physicians focused primarily on pediatrics, obstetrics and anesthesiology (including through their well know Pediatrix and Obstetrix brands). For example, MedNax physicians represent over 20% of the nation’s neonatologists (1,125 of the estimated 5,300 neonatologists nationally according to company presentations to investor conferences). AMN is the largest healthcare staffing company with $2 billion in revenue that provides a wide range of healthcare workforce solutions including physicians recruitment, nurse staffing, locum tenens and healthcare workforce optimization services. All of these companies position themselves as providing diverse opportunities for physicians to practice the way they want. So what does this all mean for hospitals and healthcare systems across the country? Looking for Doctors. At every health system board or management retreat I have been involved with in the last five years (and there are a lot of them all over the country) one common recurring strategic issue is attracting and retaining physicians. For the old hands out there, this is not exactly breaking news. This is how the game has been played for a century. But it is different now. All the consolidation, disruption, shift to the ambulatory environment, coverage expansion, physician demoralization, changing character of the labor force in terms of gender and lifestyle all combine to increase the challenge of recruitment and retention of physicians. Whether it is because of over priced housing markets in the Bay Area or Boston, or disinterest in taking call, or an overall shortage of physicians, or all the intervening opportunities described here, most health systems are having trouble attracting physicians. Except Kaiser of course. Doctors are Unsettled. While hospital based employment provides economic security and (in many cases subsidy) it is not for everyone. Whether it is burnout or demoralization there is no doubt that doctors are unsettled. And many of them are entrepreneurial and value autonomy over anything else (for many physicians, that’s why they went into medicine in the first place so they don’t have to work for a boss). The new plethora of practice arrangements especially with investor backing may represent an attractive option. (Actually making money in these investor backed ventures is a whole other matter as evidenced by the horrible financial history of Physician Practice Management companies in the 1990s). Not Either/Or. The healthcare outsources like AMN and Team Health work with health systems, the disruptors like CVS-Aetna will partner with health systems, the focused factories like Core Institute may build significant ambulatory operations and still partner with health systems. Like Silicon Valley learned decades ago you need to simultaneously collaborate and compete. Get used to it. But People will get Sick. No matter how successful disruptors and innovators are there will still be sick, vulnerable patients needing hospitalization. Your I-Phone won’t change your diapers, or turn you in bed at four in the morning, or bring together hundreds of highly-trained professionals, just for you, to deliver complex care like transplantation. And let’s not forget that complex care for the sick is where the money is in healthcare. Just 5% of patients account for 50% of costs and a lot of it quite frankly is not easily disruptible, no matter how many PowerPoints argue the contrary. We will need hospitals, doctors and nurses in our future more than ever as we age and get sicker as a society. But hospitals must understand that Médecins sans Hôpitaux will have an effect on their strategy and operations as physicians have more opportunities to practice in a wider range of settings. Yes, very interested. I have had emails or phone calls from every CEO of every hospital within 40 miles of us who is using one of the big staffing groups wanting to know if we would look at their place. Makes me think something is going on. What do you mean by “look at their place”? Are they looking to dump the big groups? Yes. The big groups make a nice presentation. They often send their “A team” for the first year or two, then things don’t go so well. At least that is what we are seeing in our area. kaceycarpenter on Why Is the USA Only the 35th Healthiest Country in the World?